Srey Bandol, Founder of Phare Ponleu Selapak. 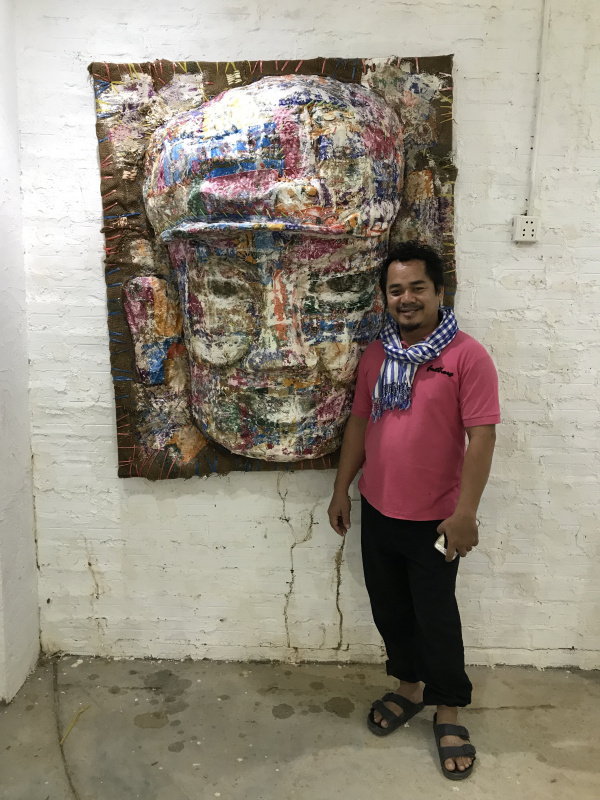 For Phare Ponleu Selapak founder Srey Bandol, grooming the new generation of Cambodian artist is more than a commitment, it is a way of life and something that is integrated into his own art practice. In Cambodia, there is only one art school that can call itself “contemporary” in the truest sense of the word. This is Phare Ponleu Selapak, and it is located just outside the town of Battambang. Celebrated for both its circus and being the incubator of the new Cambodian “creative class” (to adapt Richard Florida’s definition to the local context). It is also where the majority of up-and-coming Cambodian contemporary artists have been groomed. The story of how the school came together is one-of-a-kind. It all started in 1986, in the Site II Refugee Camp on the Thai-Cambodia border. In the camps, nine young Cambodians began taking drawing classes with the French humanitarian worker Veronique Decrop. After decades of civil war, the ex-students returned to Cambodia and decided to create an art school. Their aim was to start rebuilding the mangled local culture and soothe the wounded spirits of the children through self-expression. Starting from basic drawing lessons, Phare Ponleu Selpak slowly grew and began to promote a sense of Cambodian identity through art. 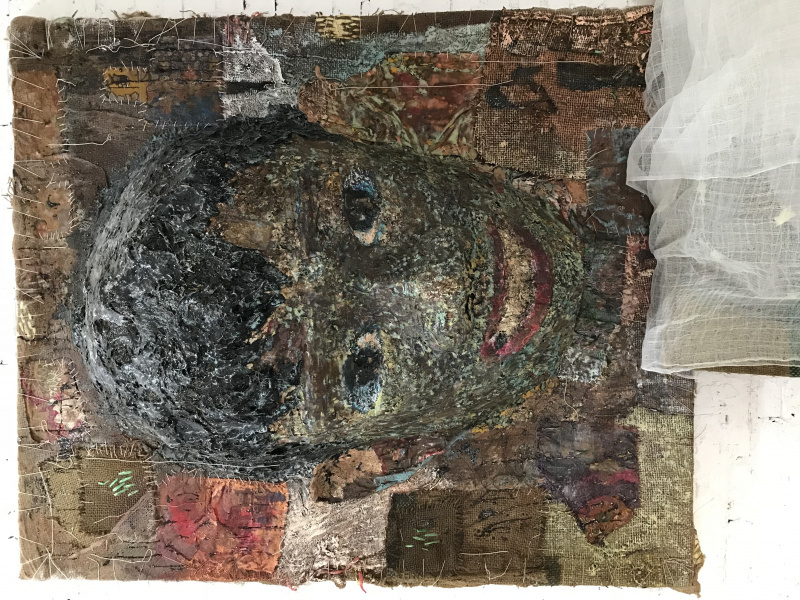 While some of the original founders have now left the school to devote themselves to their personal art practice, others have found a way to blend their life with the school’s mission. This is the case of artist Srey Bandol, whose house/studio is, not coincidentally, next door to the Phare Ponleu Selapak building. Bandol’s artistic path is a mirror of the way he has been negotiating and recreating a new relationship with his own country. Cambodia’s lost art and culture have been very much his preoccupation since his first series of drawings. These were published in the form of a book, ‘Looking at Angkor’, which was realized with the academic Ashley Thompson. For the series, he depicted the famous Angkor Wat temple complex and addressed the neglect of his country’s national heritage. You spent 13 years in a refugee camp on the Thai border. Before you finally came back to Cambodia, what was your view of your country? How did you see it in your mind? I remember that I used to listen to discussions about culture and art in the refugee camp. I didn’t understand at the time, but then I started to look into Cambodian culture and felt bad about the people who were cutting the statues’ heads off to sell them in Thailand. That made me angry. In the camp, I met Ashley Thompson, who became like a sister to me. She suggested that I visit the Angkor Wat temples, which until then I had only drawn from my imagination. In ’95, I was given the chance to visit Angkor for the first time and I was amazed. This was my own culture and it was incredibly beautiful – and yet people destroyed it. This mixture of feelings is what compelled me to realize the ‘Looking at Angkor’ series. You started off with the medium of drawing. When did your transition to other art media take place? I think the change happened after I came back from Myanmar. In ’99, I had the chance to travel there for the first time in my life and I met a lot of artists over there. Even if there were political artists in prison, I met many who could make a living from art and had a very different perspective to Cambodian artists at the time. In Myanmar, I spent a lot of time learning and observing. When I went back, I started looking for a concept to develop my painting. And then I had the chance to travel to France, Spain and Norway, and these experiences really changed me. Back then, I didn’t really get contemporary art, and I couldn’t even read the captions because I didn’t speak English. But when I came back to Cambodia, I was eager to bring my new knowledge back to my students at Phare, so I had to make sense of it myself. 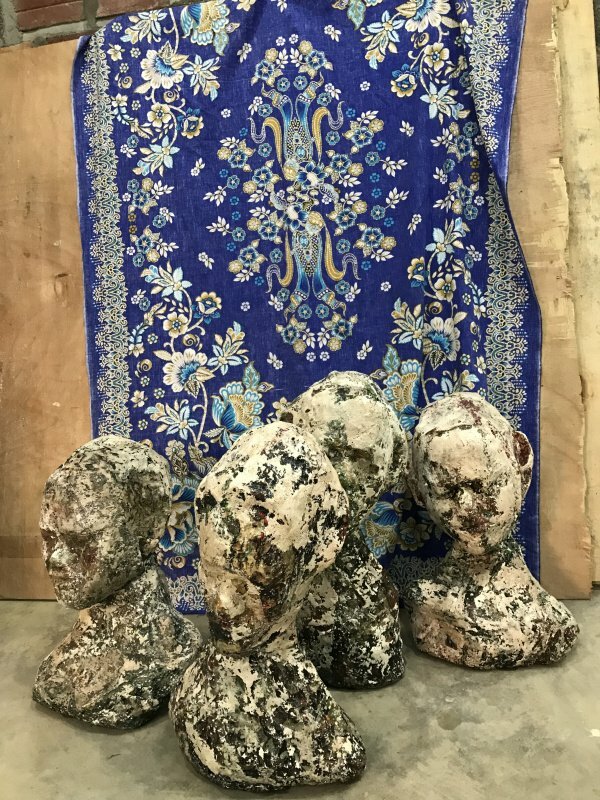 One of the most celebrated works of yours is ‘Digestion’, the intestine-shaped installation that is made of sarongs, which you exhibited alongside five sculptural works on canvas. What was the concept behind that work? In ‘Digestion’, I wanted to talk about Cambodian history. During the war, we had different parties who didn’t understand each other. They never thought that while they might have different ideas and a different way of executing them, the objective was the same. So “digesting” for me means discussing things and then finding a new way together, a process that is not always smooth. The sarong is, of course, linked to Cambodian culture. It is also connected to my own memories, as I would sometimes use my mum’s sarong as a blanket to keep me warm at the refugee camp. As for the sculptural works on canvas, they allowed me to start developing a technique that I could use to express my story and feelings. You mentioned to me earlier that Phare has been a place where you have been able to share your expanding knowledge about art. Do your commitments to the school ever conflict with your own personal work? No, I’d rather see a continuity. For me, personal success is not enough. I want to bring success to the students and the community as well. The most important thing for me is to bring quality to Phare. I want the younger generation of artists to find work in the creative fields, such as graphic design and animation, and become honest people who will be able to give something back to both the society and to the school. Besides, even when I don’t work or produce my own art physically, I feel I’m developing my thinking and my expression, so I don’t see any conflict. 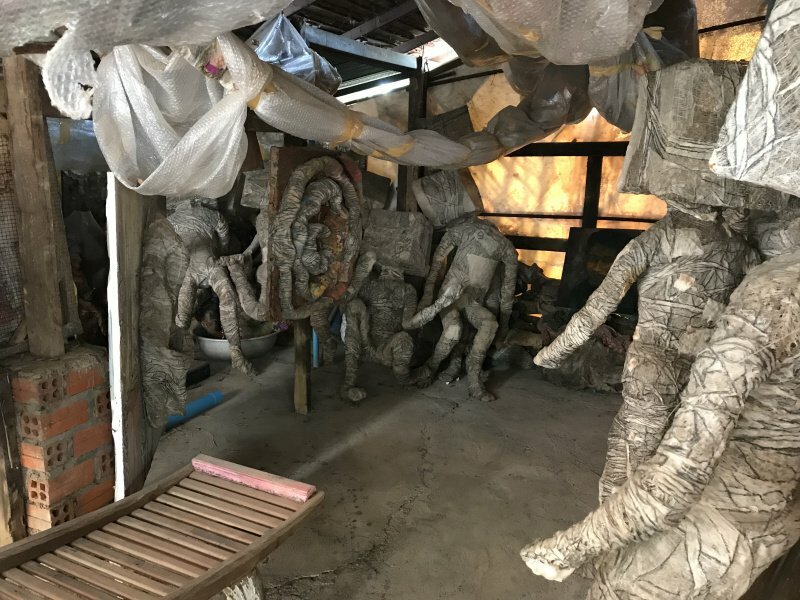 My perception of the Cambodian art community is that the artists tend to work more individually, compared to other countries in Southeast Asia. From your vantage point, what do you feel about the art community in Cambodia? It is hard to say. You sometimes feel that the artists are very close to each other, but other times you feel they are quite individualistic. In Cambodia, it is always difficult to understand what people are really thinking. Concealing our opinions and intentions is something that comes naturally to us. Even the King couldn’t understand what really was on his people’s mind. He once wrote that the Cambodian people are lovely, but they can also kill you at a moment’s notice. You sometimes feel that Cambodians are warm, beautiful, smiling people, but they can also be extremely cruel. But when we understand that this is the nature of Cambodian people, we can then accept it and maybe tomorrow they will change. What is needed for artists to grow in Cambodia? I feel the main problem is that most of the Cambodian audience is not educated and doesn’t understand art. 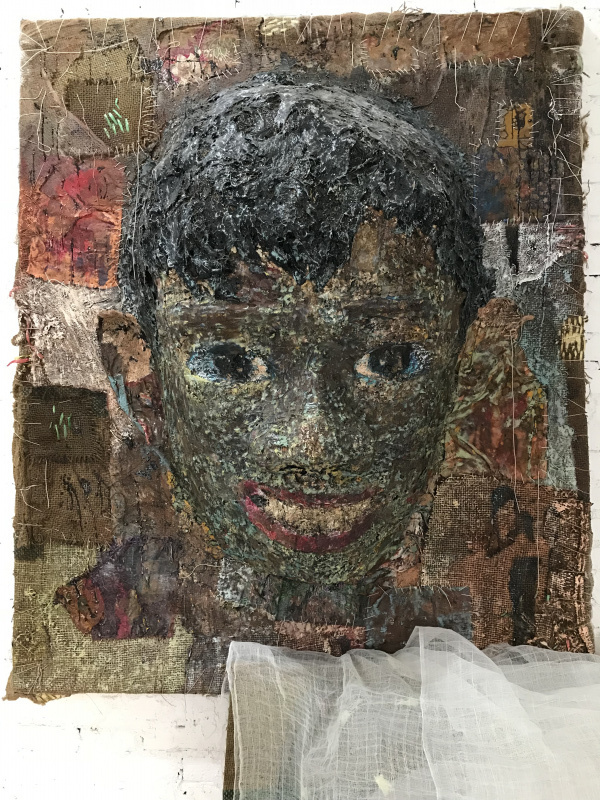 Consequentially, the artists who become successful and start to make a living need to sell their artwork abroad, in London or Hong Kong, not in Cambodia. And when we show the artwork in Cambodia, it is always the same 50 people that come to the exhibition. I always ask myself what is it that can be done to engage Cambodian people in contemporary art and I see education as being central to this. It is important to say that art is part of the spirit of the nation. Art is not included in the current education system art, so people don’t see that as important. When you change the education, then people will change their mindset. They will start buying art and contributing to culture. But right now, it’s really hard work for us. Even though we have graduates who are working in growing sectors, like visual communication, animation or in graphic design, their families still don’t understand. Having role models also helps to send a message out there. Do you feel that students look up to you and the older generation of artists? I don’t know, you should ask the students! What I always tell them is that it is important to learn from the older artists, but then you have to do your own thing with your art and find your own voice. I hope the way that I live my life is inspiring to students. The way that I take care of my kid, look at my wife, the way I try to grow the community and the school. That is something that I’d love to pass on to the Cambodian artists of the future.